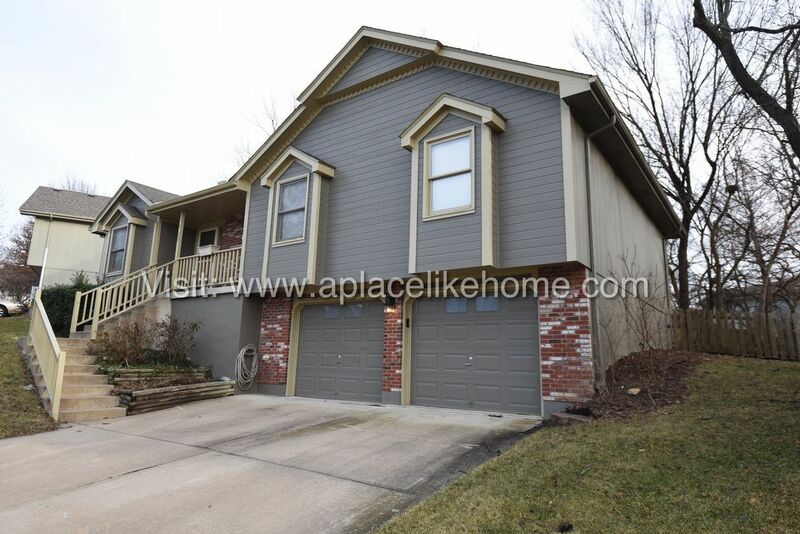 This charming 3 bedroom split-level home is ready for move-in now and features 2.5 baths, 2 car garage, and fenced back yard. 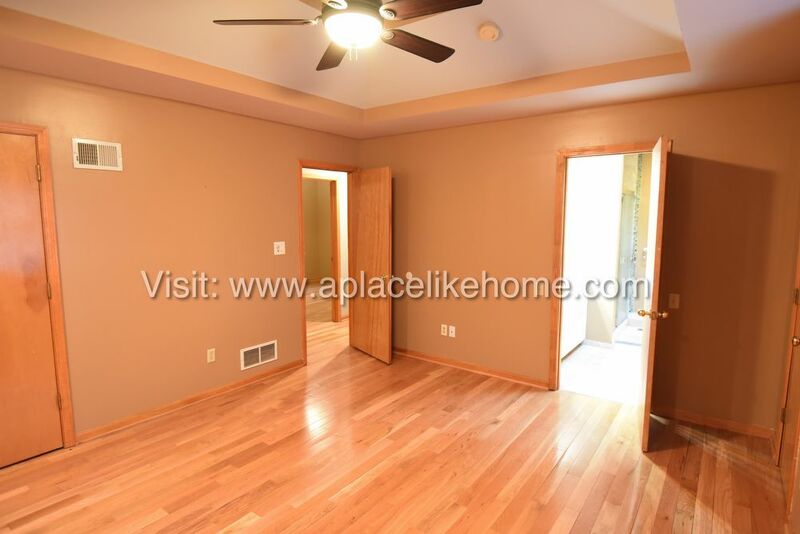 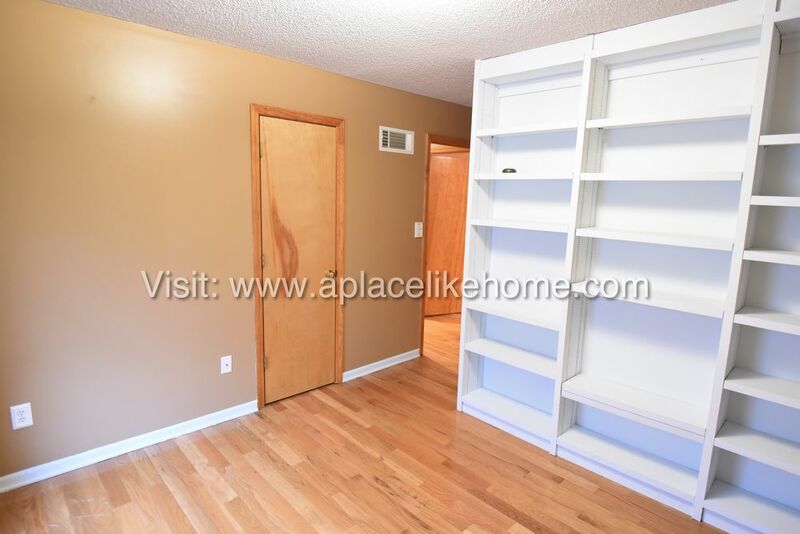 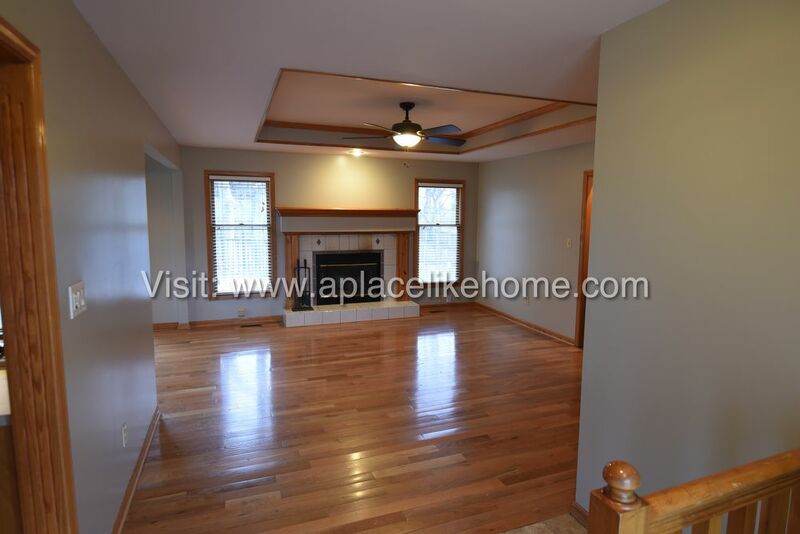 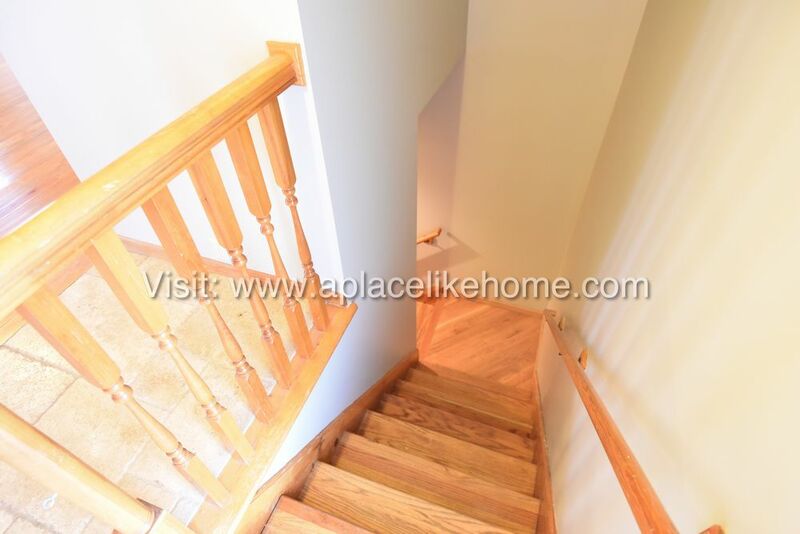 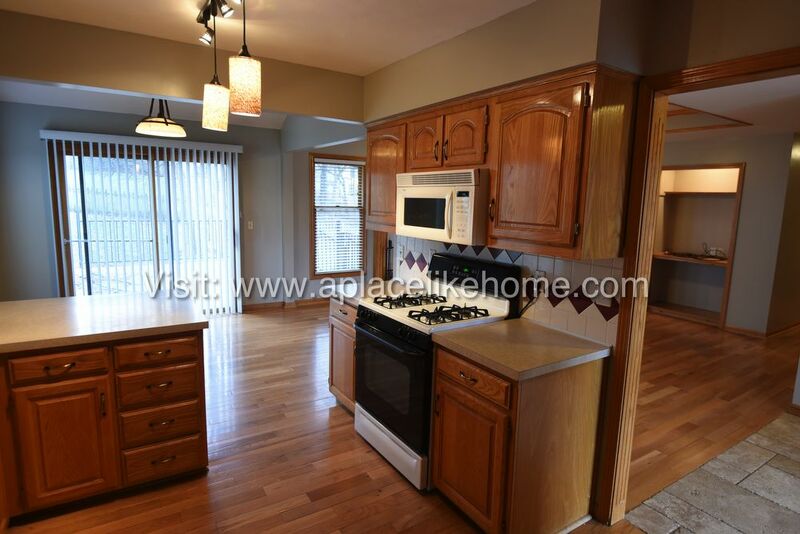 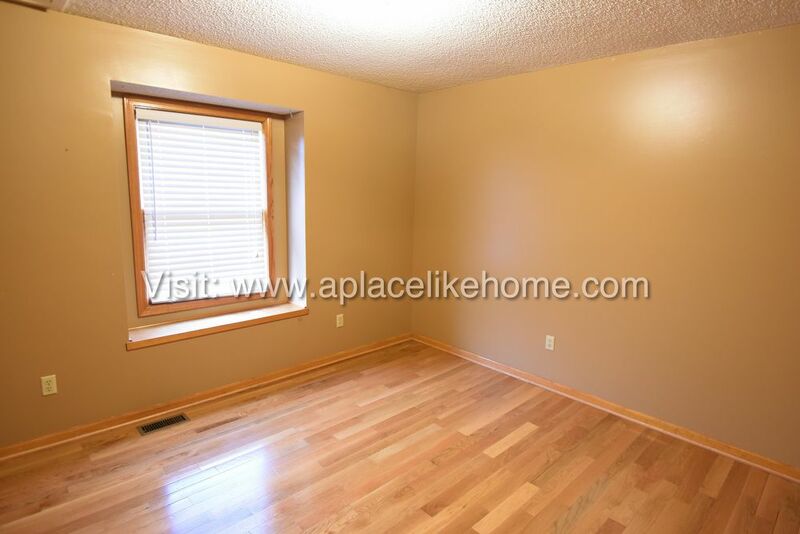 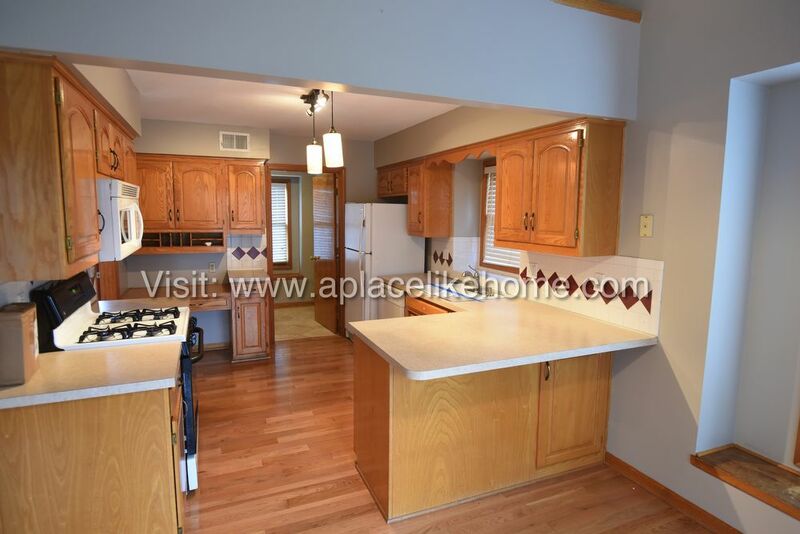 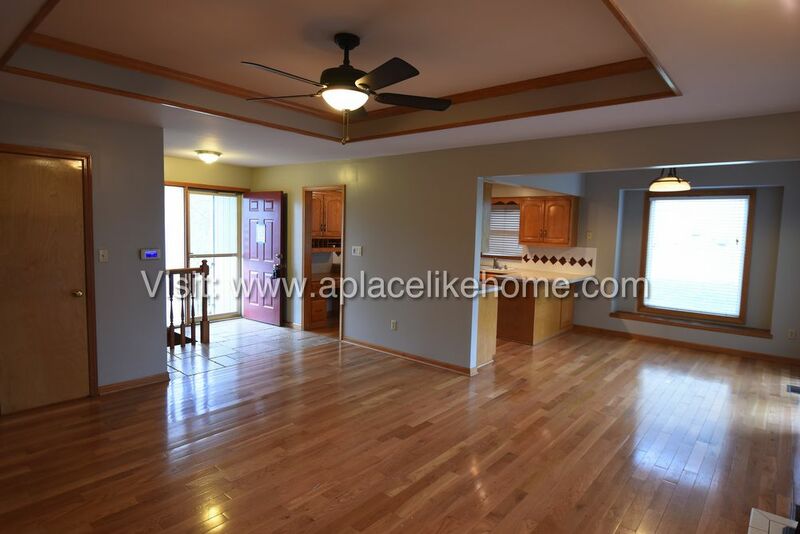 Hardwood floors throughout most of home, including all bedrooms. 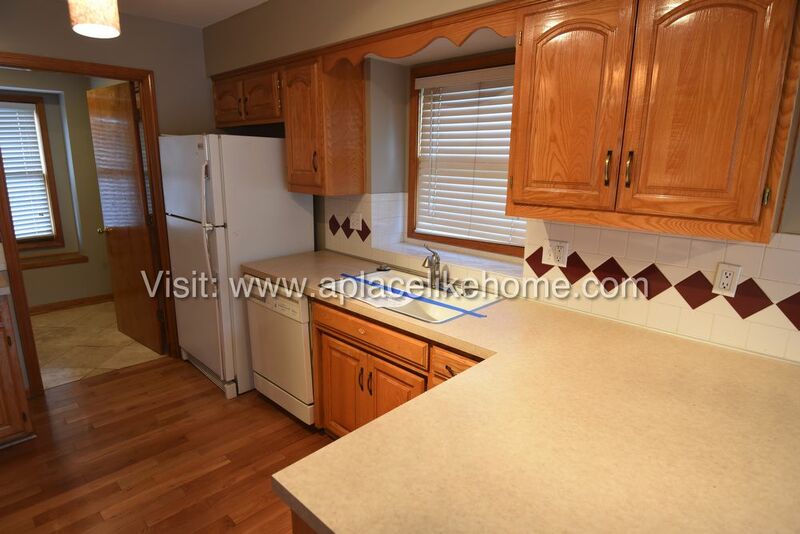 The eat-in kitchen includes a breakfast bar, built-in desk/office space, stove, refrigerator, dishwasher and microwave. 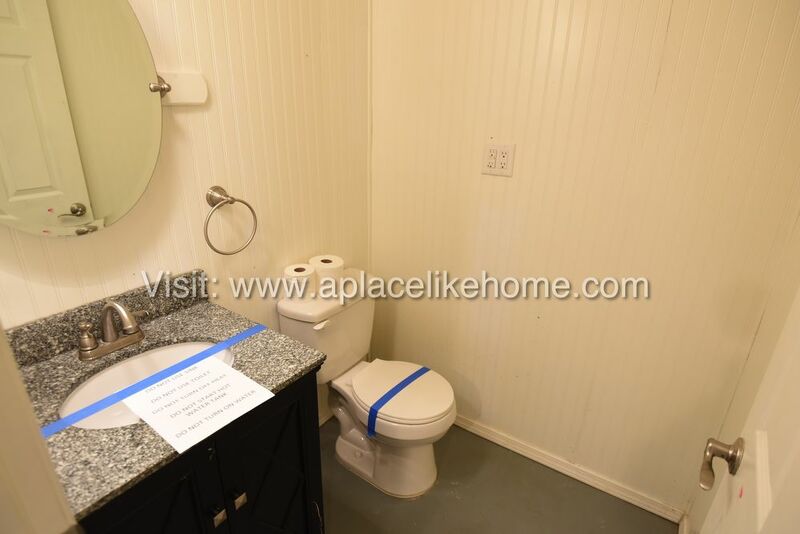 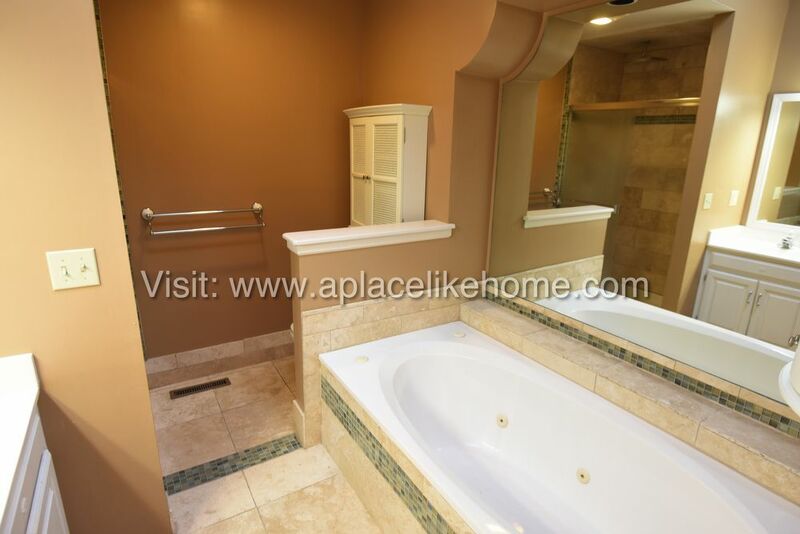 The master ensuite has 3 closets and 5-piece bath with rain shower and whirlpool tub. 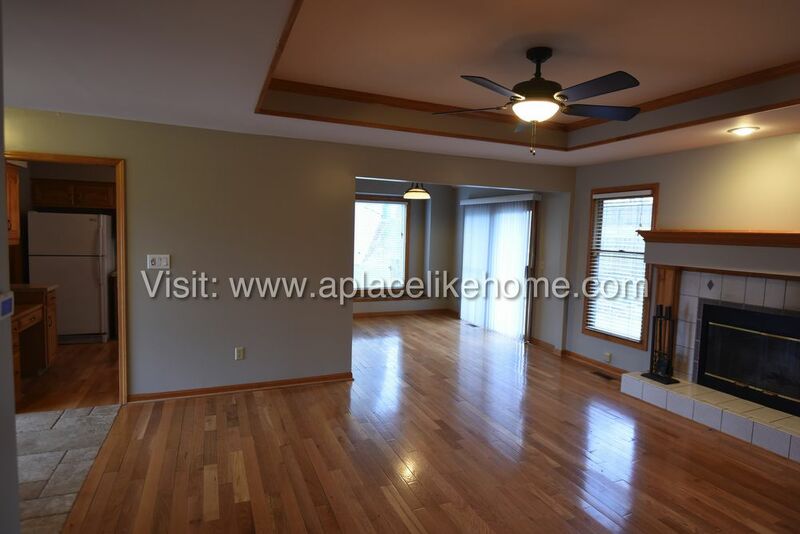 There's a gas-starter fireplace in the spacious living room on the main level. 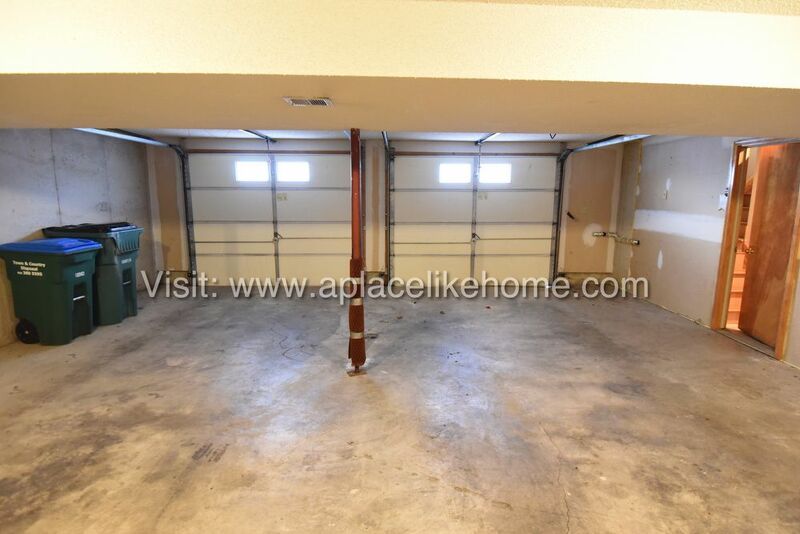 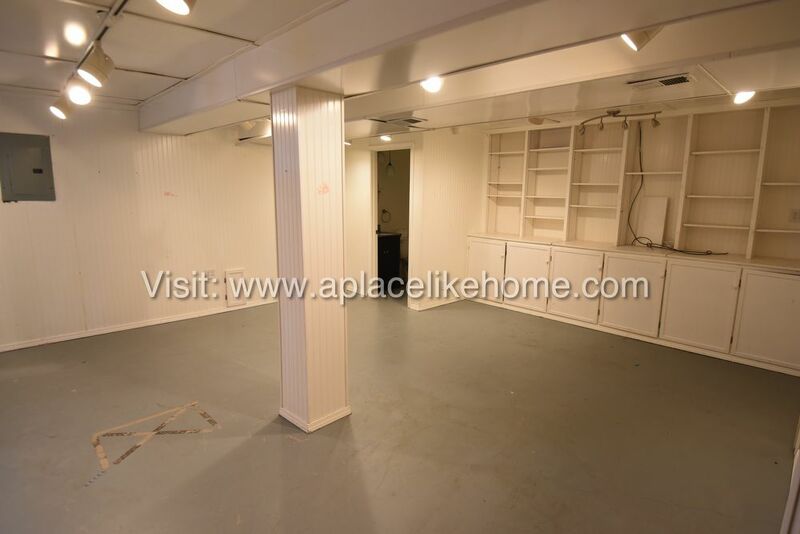 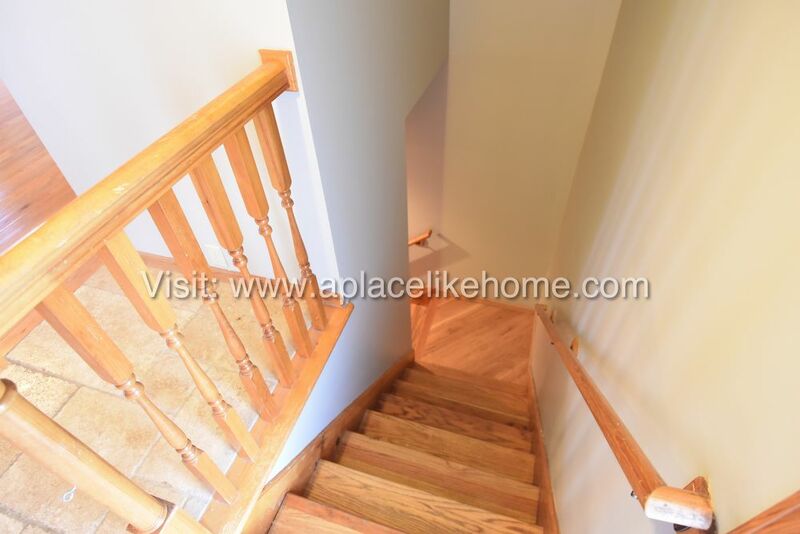 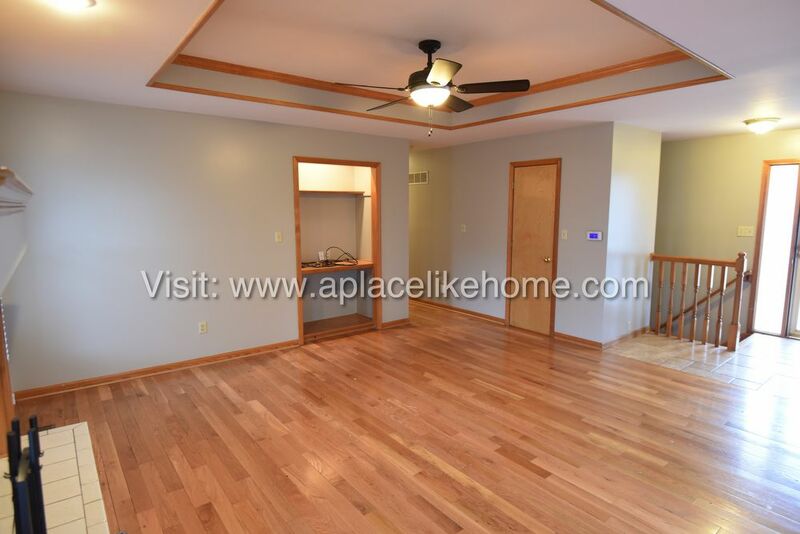 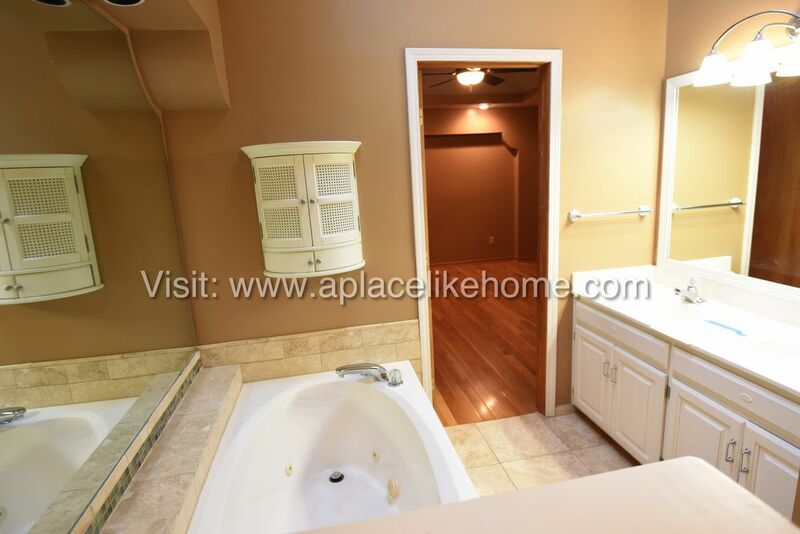 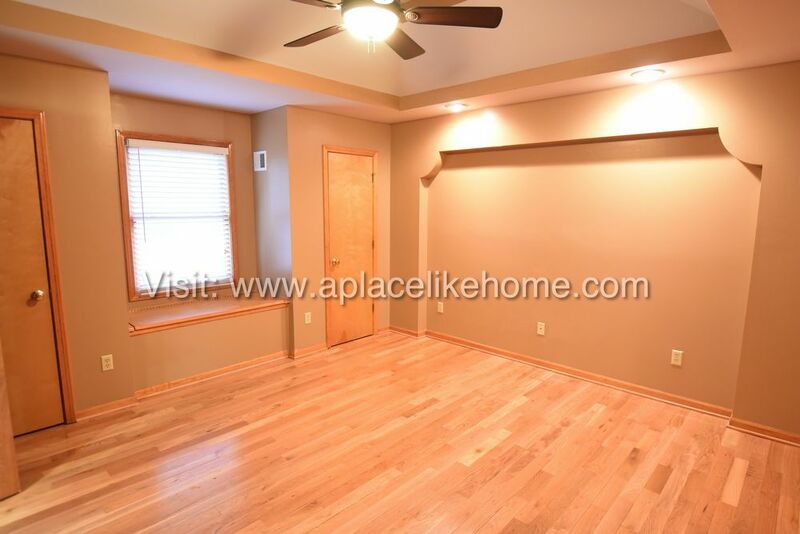 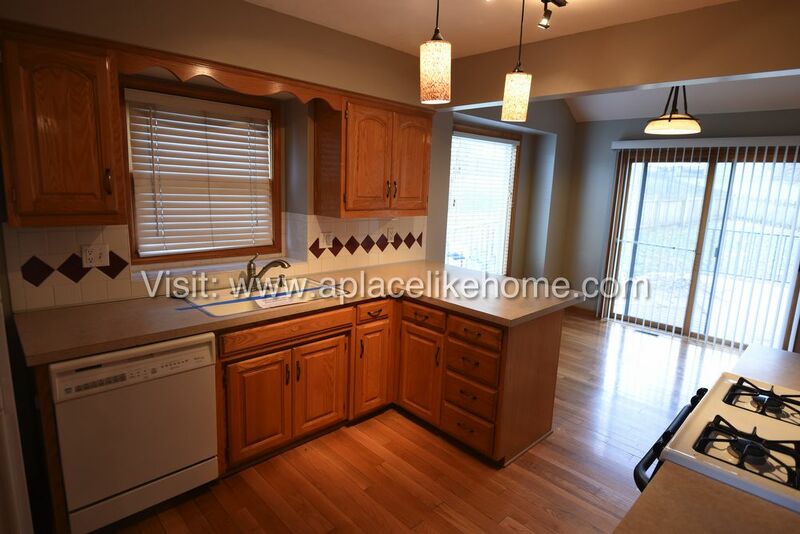 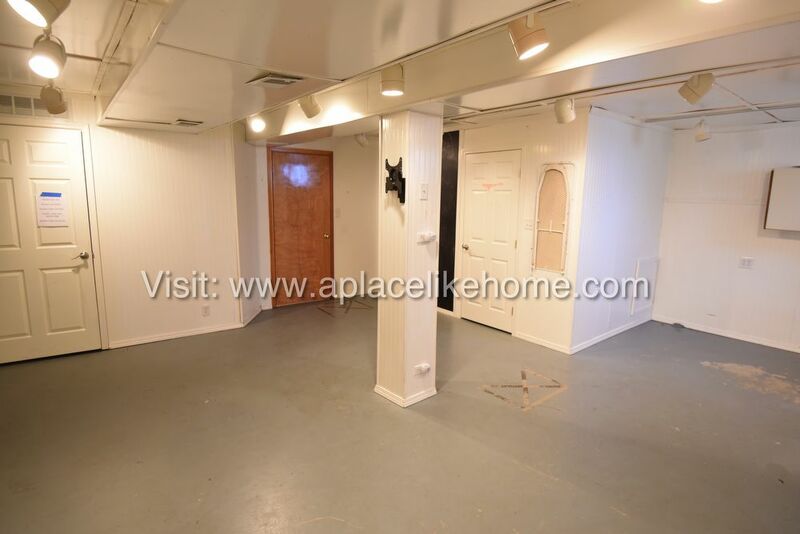 The family room in the finished basement with built-ins is approximately 340 sq ft. 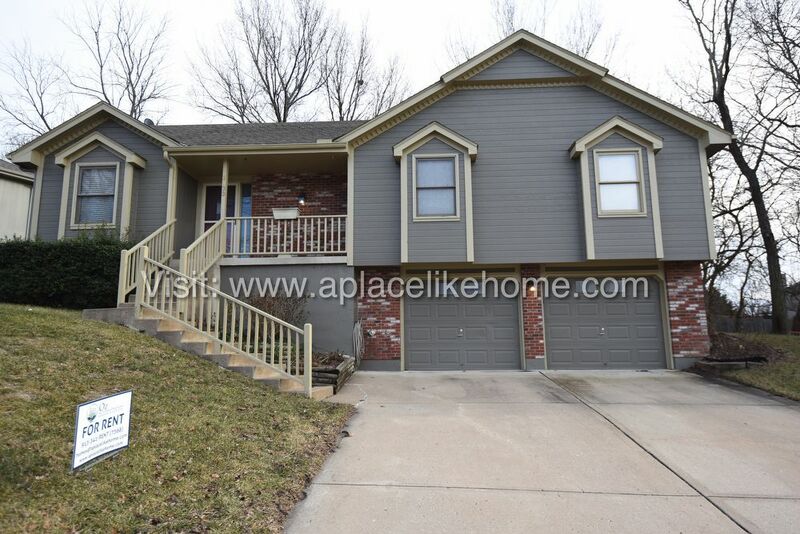 The fenced back yard has lots of shade trees and nice composite deck. 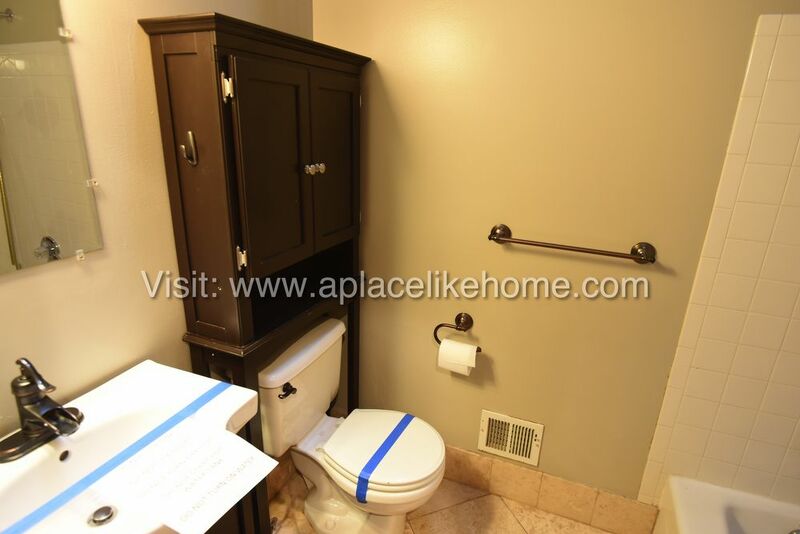 Washer/dryer connections in home (for gas dryer). 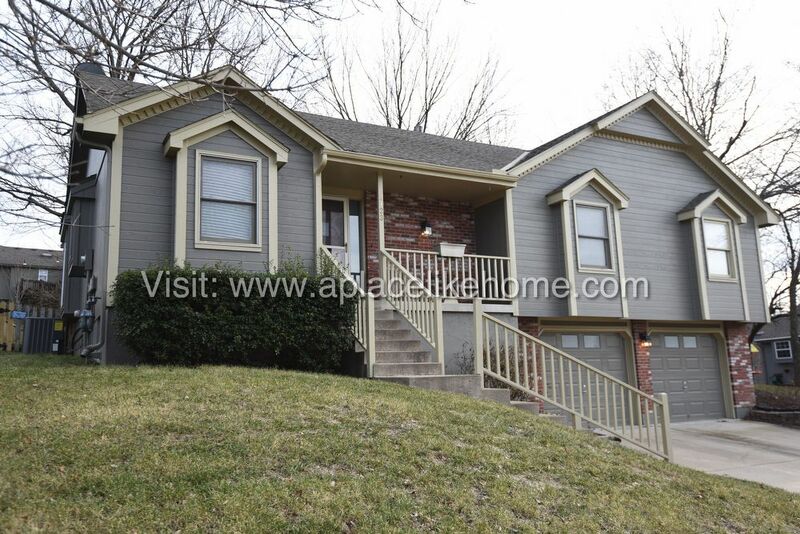 This is a Google Fiber neighborhood. 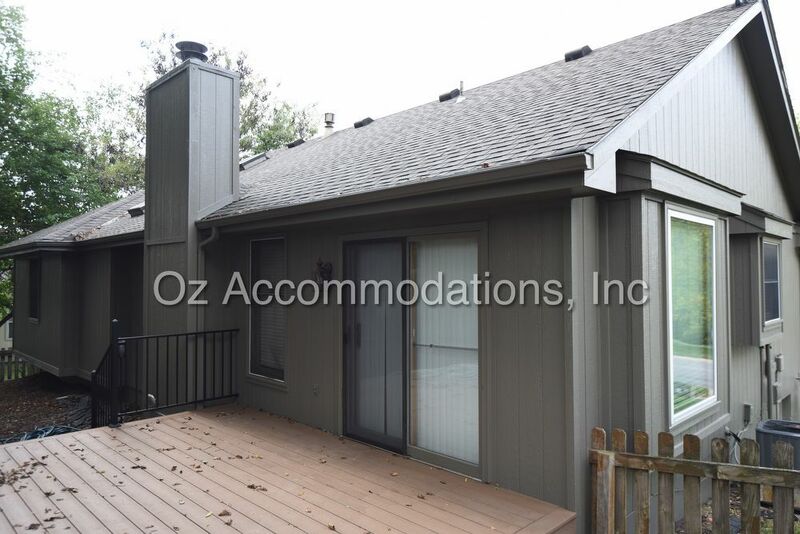 Chemical treatment of lawn included.